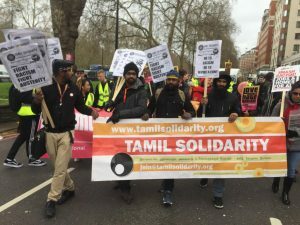 On the 16th of March 2019, Tamil Solidarity with the socialist party and Refugee Rights organisation joined the anti-racism march in London. 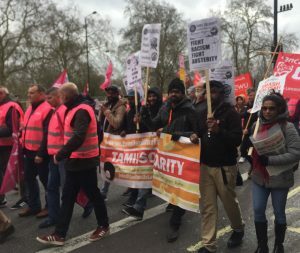 Activists from unions such as PCS, UNITE, UNISON also took part in the march. Anti-racism march also took place on the same day in Glasgow and Cardiff. 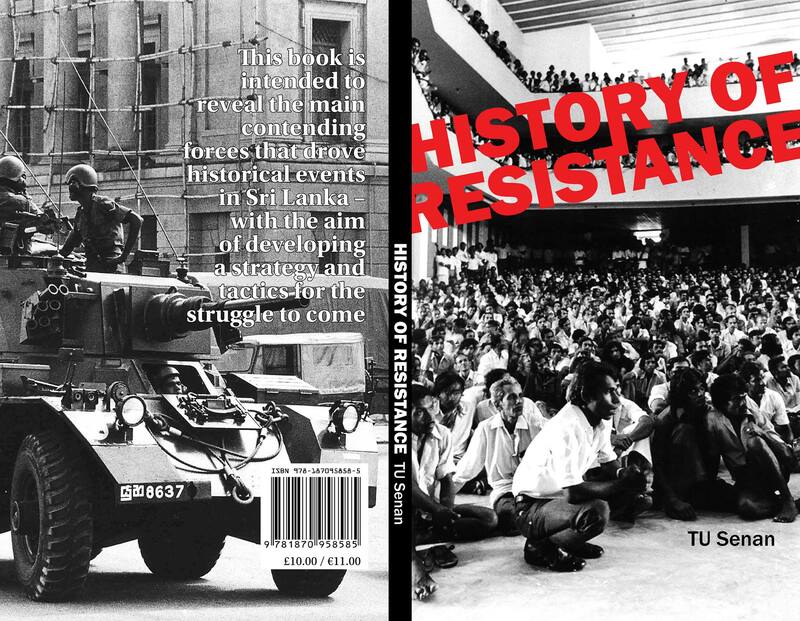 Tamil solidarity while standing in total opposition to racism, had also given focus to other demands that are vital for combating racism. 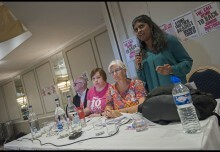 Demands to keep the education and health service free for all – along with other demands such as minimum wage of £10.00 an hour for all were also supported by Tamil Solidarity. 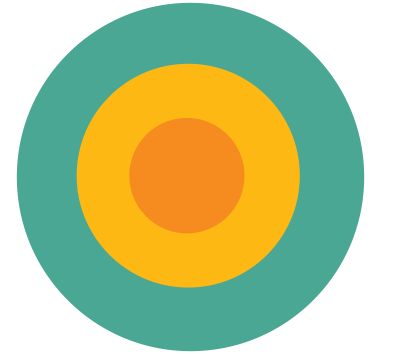 Refugee rights campaign put forward demands such as right to work for all asylum seekers are refugees, close the detention centres etc. 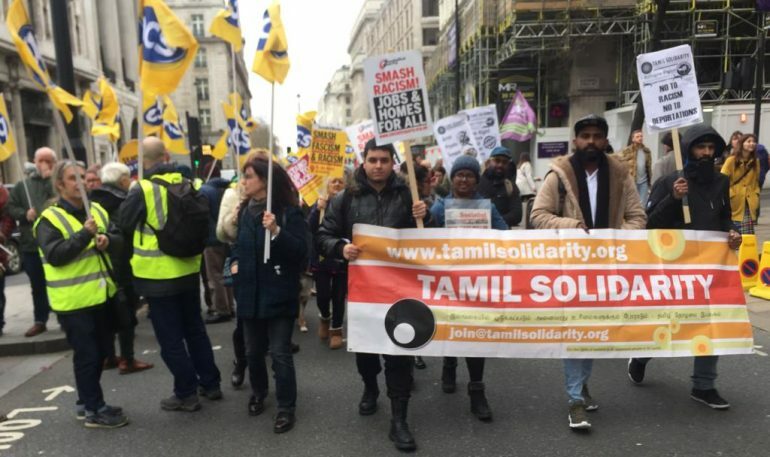 Tamil Solidarity supports the demands of the British Workers and at the same time is working to achieve democratic demands in Sri Lanka, including the national rights of Tamils. 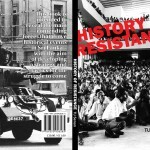 We aim to connect all fight back that takes place to improve conditions and democratic rights.